Sandwiched between Mass. Ave and Kendall Square, in a neighborhood buzzing with MIT students and professors, it’s easy to walk past 1 Portland Street, a modern tan brick building with tall windows, without pausing to wonder what’s actually happening inside. But it’s worth a second glance. This is where the anonymous, unassuming life of a biopharmaceutical scientist unfolds. Day after day, week after week, year after year, a scientist here might spend half a lifetime in pursuit of a cure to a disease once thought to be incurable. And so they ask questions, test, analyze, reflect, ask more questions, always in thoughtful, driven pursuit of that breakthrough that thousands, or millions, of people have been waiting for. This is the life of David Gray. He’s one of the Pfizer scientists here at 1 Portland Street with a laser-like focus on finding a novel treatment for Parkinson’s Disease. The mainstay of treatment was discovered more than 50 years ago, and today the nervous system disorder afflicts 10 million people worldwide — and affects so many more. Some of those people have Parkinson’s. And some of them have their lives turned upside down by caring for a loved one suffering from Parkinson’s. Gray feels the pain of both. “Dear Scientist,” begins Nancy Horwood. 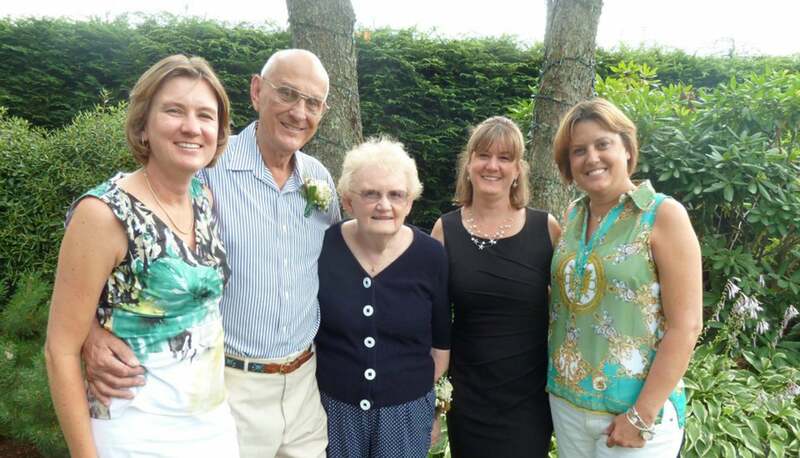 The first time I noticed anything different about Mom was on August 7, 1993: my wedding day. As I prepared to walk down the aisle, I noticed my beautifully dressed mother slouching. I asked her to stand up straight, to which she replied, ‘I am standing up straight.’ I didn’t know it at the time, but her change in posture was one of the first signs that she had Parkinson’s Disease. Sitting on a couch in a Pfizer lounge, David Gray reads the letter aloud, words on paper from a complete stranger. 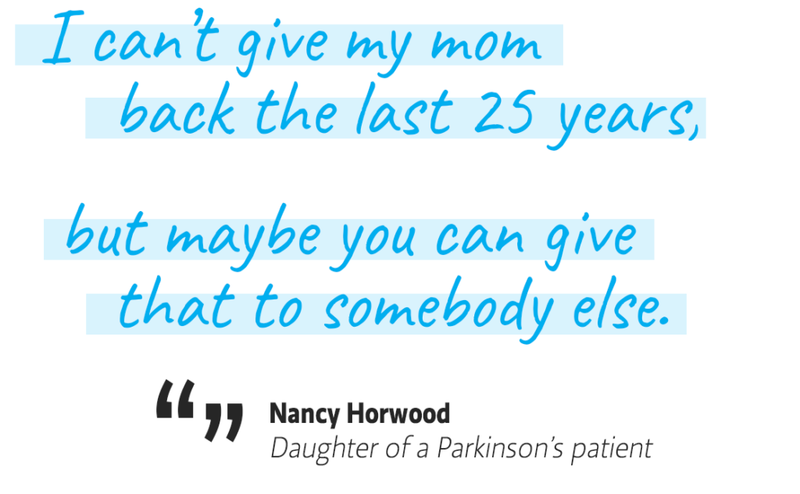 Nancy Horwood’s story is a familiar one to him after investing nine years of his life into Parkinson’s research, but he can’t help but be moved as he reads on. 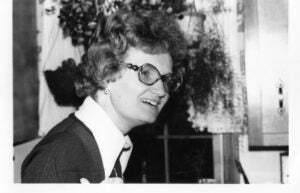 Parkinson’s stole my mother’s independence. 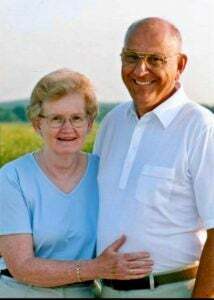 It stole her ability to walk, time with her friends and grandchildren, opportunities to travel and enjoy retirement, and even her ability to smile and smell. He nods as he reads, wiping away a tear several times, until he gets to the end. 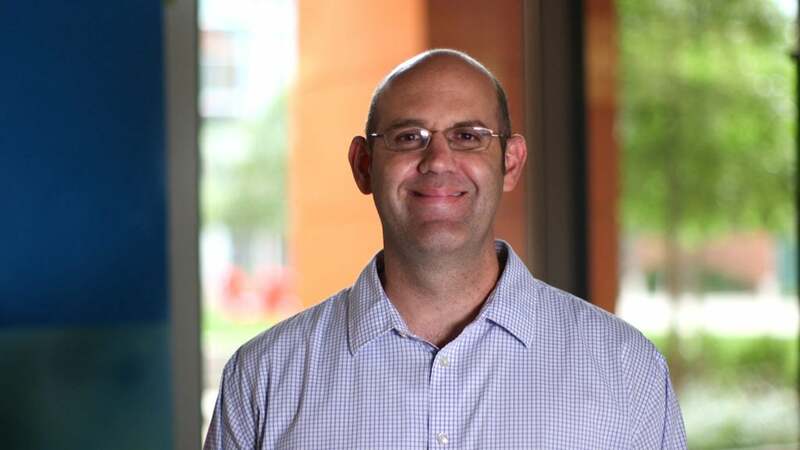 When Gray began his research almost 10 years ago, he focused on identifying treatments that could help Parkinson’s sufferers manage the visible side effects of common medications — the dance-like, uncontrolled movements many of us associate with the disease. He assumed that’s what they wanted most. But he assumed wrong. Patient after patient implored Gray to think beyond making slight improvements to their existing medications — and to instead pour his energy into counteracting the core symptoms or halting the disease process itself. It was like a permission slip to start his research over, with a fresh approach. 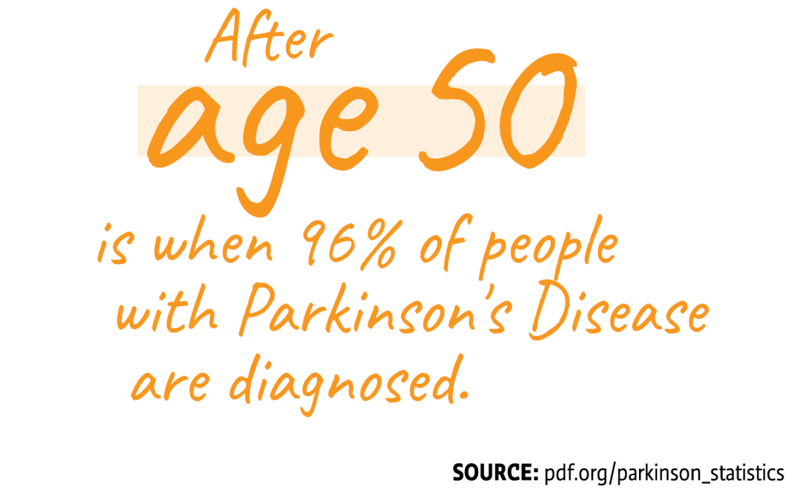 People start to experience Parkinson’s symptoms when the nerve cells that make dopamine, a signaling chemical that controls movement (along with other functions), start to die. As more cells die over time, people experience weakness, changes in balance, or less control over their movement. “Our long-term goal is to stop those cells from dying,” says Gray. He explains that they have much more knowledge now than they did 50 years ago about which cells die. And he and his team are working hard to understand the best way to translate that knowledge into a medicine that could help patients move more freely — and get to them faster. For those doing research in buildings like 1 Portland Street, they only wish results could come sooner. Which is why it’s hard for Gray to leave his work at the office. He regularly participates in bike rides to bring awareness to Parkinson’s and meets with advocacy groups, constantly developing new friendships with those affected by the disease to remind him of why his work matters — no matter how long it takes. Although the disease process is the same, the manifestations are so different for each sufferer. 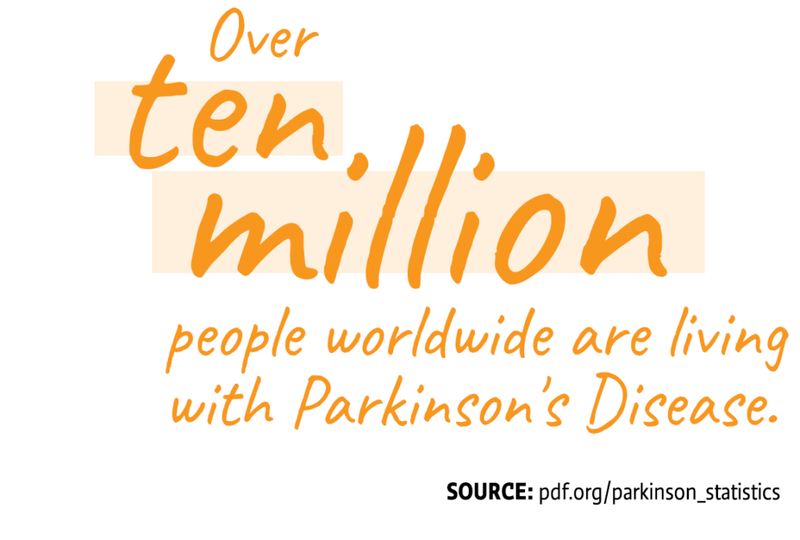 “I have a friend with Parkinson’s I talk to every week that always tells me, ‘If you’ve met one person with Parkinson’s, then you’ve met one person with Parkinson’s,’” says Gray. Now Nancy Horwood and David Gray are sitting side-by-side. It’s the first time they’ve met, a woman whose life and family was changed forever by Parkinson’s and a scientist eager to ease her pain. Nancy talks at length about “Mom,” telling the story of a tireless nurse and devoted wife of 52 years, a woman who now depends entirely on a dozen medications and a handful of doctors. Fifteen minutes turn into 30 and then an hour as the two cover everything from challenges and treatments to how her mother’s decline took an enormous toll on her father. 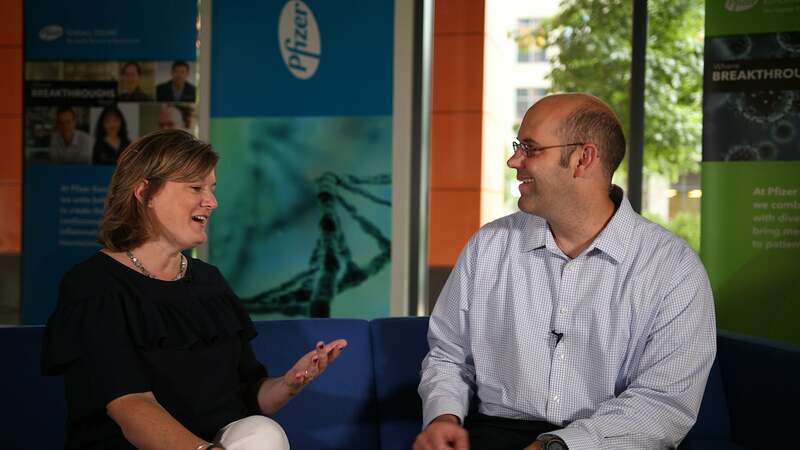 As their conversation winds down, Gray asks Nancy what she wants him to tell his team at Pfizer. He looks her in the eyes. “It’s an honor,” he says. And then he goes back to work.